Both the premier exchanges BSE and NSE are to kick off pre-open call auction section, soon. The pre-open call auction session will be for 15 minutes between 9 am and 9.15 am. The session would work as follows: The first eight minutes will be reserved for order entry, modification and cancellation, the next four minutes will be kept for order matching and trade confirmation. The remaining three minutes will be the buffer period to facilitate the transition from pre-open session to the normal market. Initially, the call auction session will be applicable for Nifty-50 scrips and Sensex-30 scrips. More scrips will be gradually added to the list. Normal trading in other stocks will begin as at 9.15 am. What is this pre-open session all about? 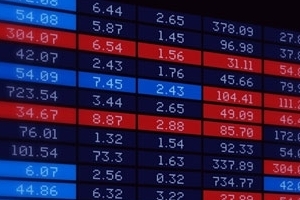 Indian markets have seen huge volatility, particularly during open trades. In the past few years, indices have hit the down circuit quite a few times and up circuit once. Call auction at pre-open will help arrive at a proper price, removing volatility and freak trades. How does this order matching works? In a Call Auction market, orders are gathered for execution at predetermined times when the market is called. 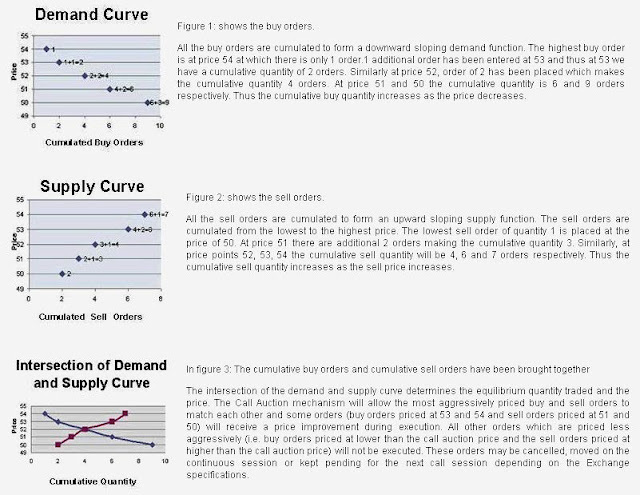 At the call, all buy orders are aggregated into a downward sloping demand function and all sell orders are aggregated in an upward sloping supply function.The logic of order batching which is core to the Call Auction mechanism is well explained here. Call Auctions across the world have been applied to various sessions during the trading day at the Open, Close and during trading halts. So, hopefully no more freak trades of abnormal highs and lows. Interesting news. Volatility will reduce.